A guide for MKE's future. Milwaukee County has started the preparation of an Airport Master Plan Update to guide future development at MKE. Economic development in southeastern Wisconsin, and a changed aviation industry are among the reasons for an update of MKE’s previous master plan. It is time to define the future of the Airport to ensure that it continues to meet growth in the Milwaukee area and the southeastern Wisconsin region, and remains a driving economic force in the state of Wisconsin. The master plan update will focus on the future, ensuring the Airport is prepared to meet aviation demand, to link the southeastern Wisconsin community to both domestic and international destinations, to maintain its focus on enhancing customer service, and to optimize the utilization of Airport infrastructure and resources in an operationally, financially, and environmentally sustainable manner. 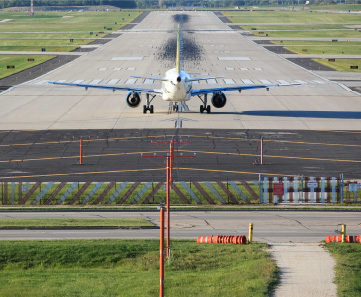 Milwaukee County and Milwaukee Mitchell International Airport encourage you to visit this site regularly and to take advantage of opportunities for feedback to the study.